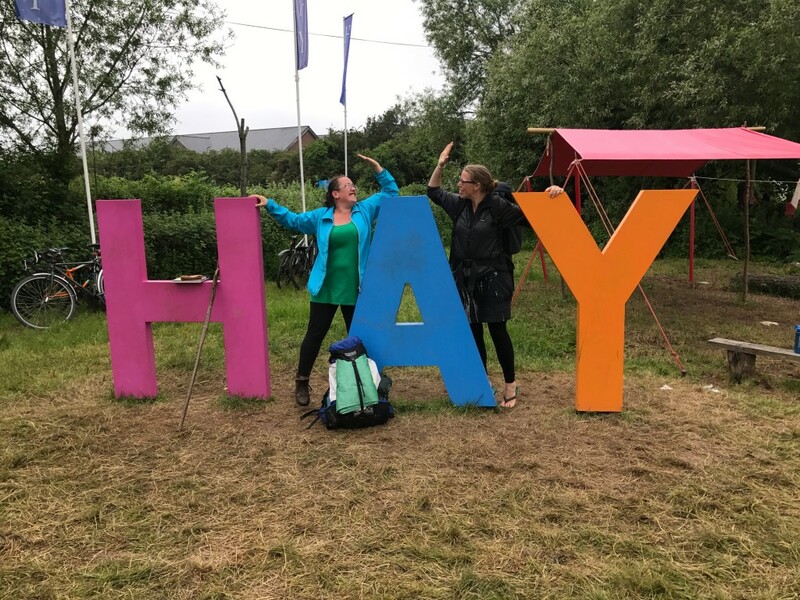 We walked to Hay! 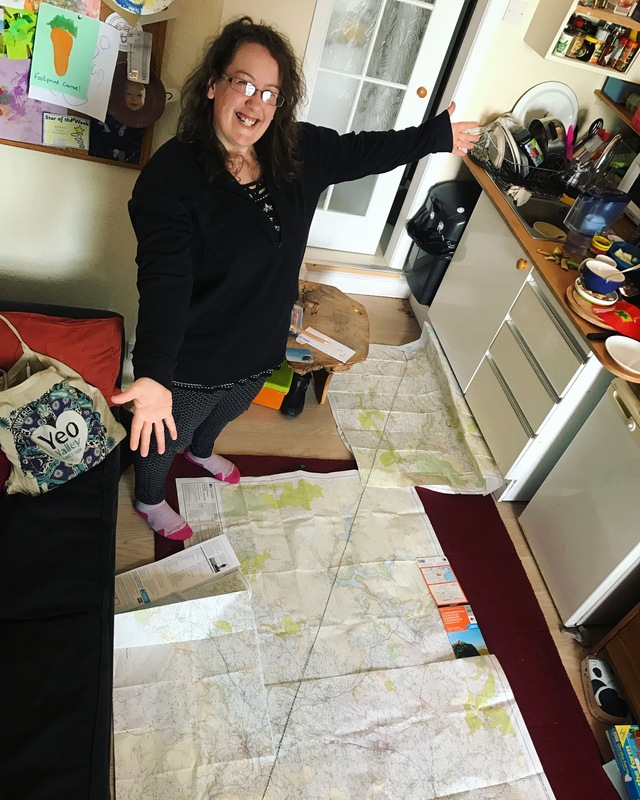 Ursula Martin (One Woman Walks) and I assembled all the OS maps, taped them to the floor, made a plumb line from Aberystwyth to Hay, then drew a pink pen line along the nicest-looking footpaths that were closest to our string. 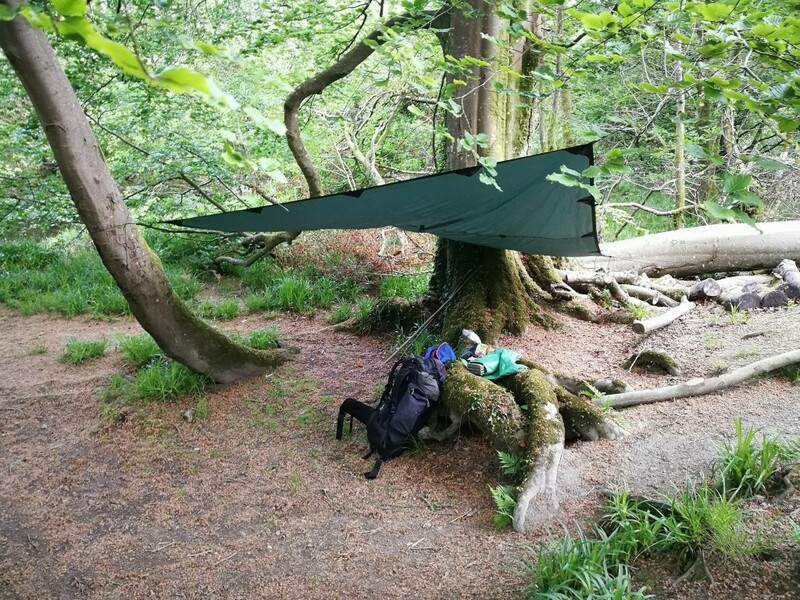 The upshot was a fantastic and quite plucky five-day walk. 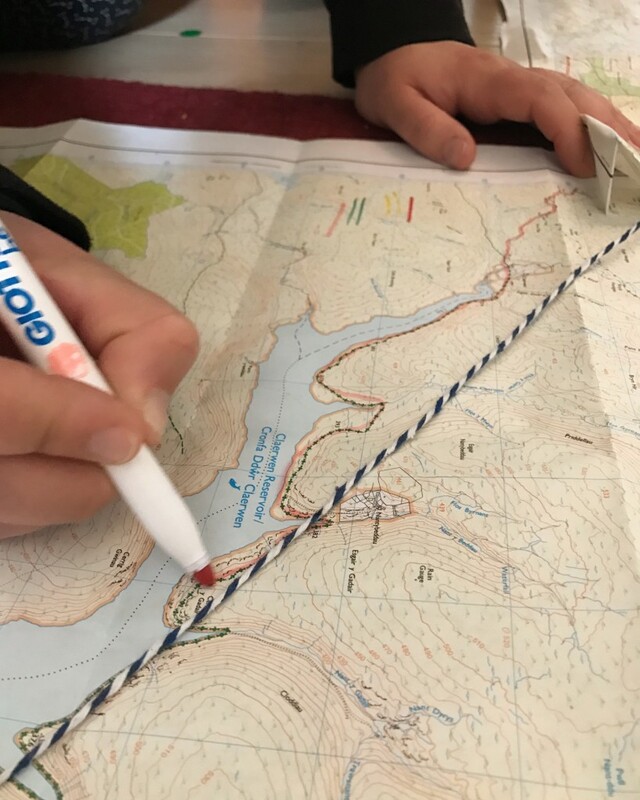 It went right over the Cambrian Mountains which meant several days of feeling pretty high and remote, carrying all the food we needed and being very careful about rationing water and knocking on doors of hill farms. 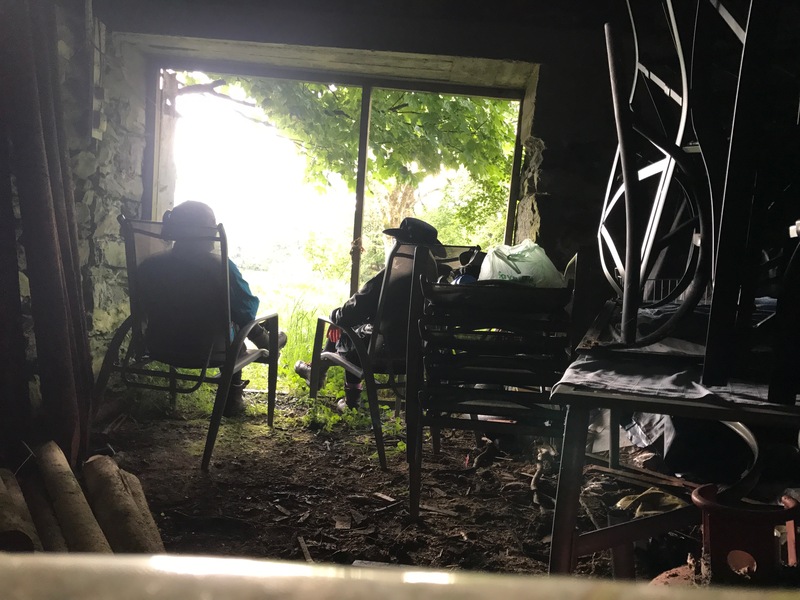 We walked from Aberystwyth, along the disused railway line/ Ystwyth Valley Walk to Trawscoed, then a day of up, up, up (and rain, and a sheltered lunch in someone’s garage) to sleep on a beach of the silent Claerwen reservoir, annoying the sheep and lambs who clearly usually slept there. Then over the tops to come down a completely unused and un-locatable bridleway which dropped us, knackered, into Llanafan-Fawr. There we slept out on the tomb of St Afan, next to his enormous and ancient yew tree; a sweet and gentle night, sprinkled quite heavily with holy dew by the morning! And on, picking up the Wye Valley Walk that took us into Builth Wells for the meal of the trip – many courses well deserved in the excellent Cosy Corner. 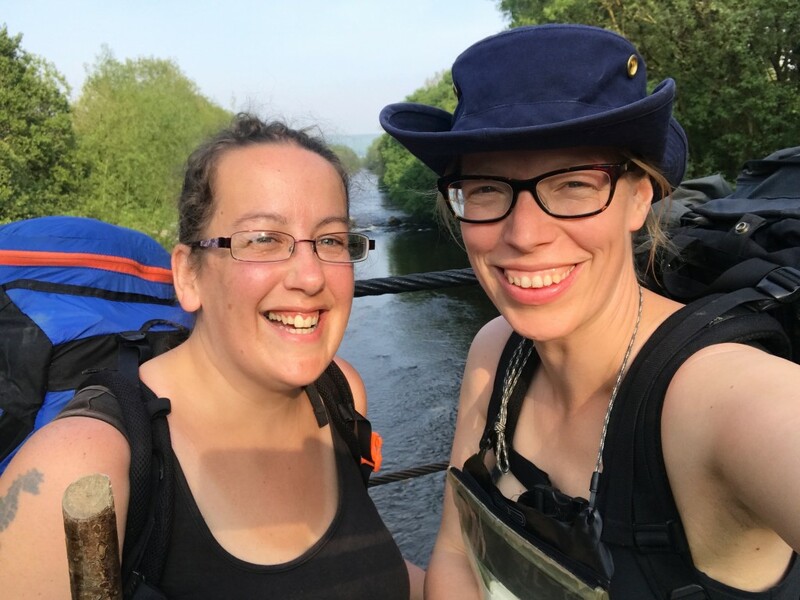 Our last hurdle – the Begwns – looked pretty hard to get lost on, but we managed it somehow, adding some hours, a few cross words and quite a lot of swearing/laughing the next morning, before we were back by the Wye for the genteel last miles into Hay. We were jubilant! Especially me, as I was 11 weeks pregnant – the epicentre of first-trimester exhaustion – and not at all sure I’d make it through the first afternoon. 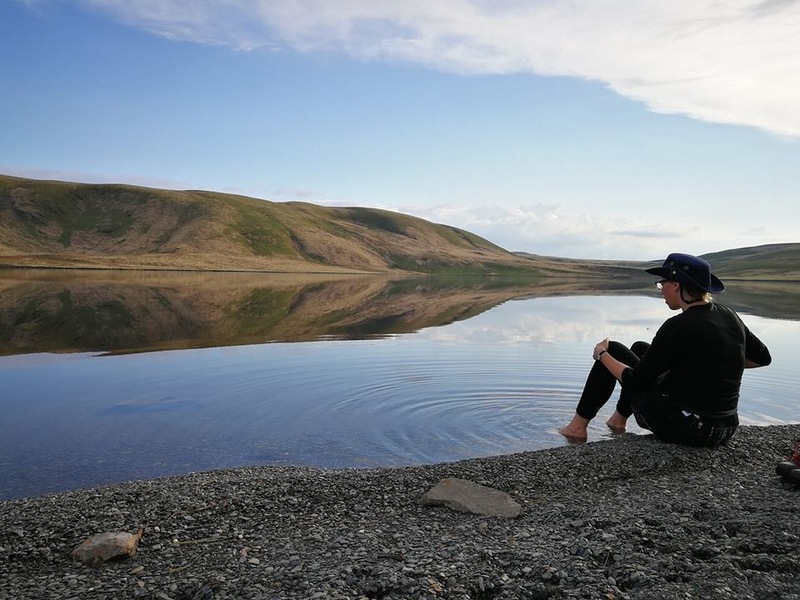 But on the contrary, it turned out that having nothing to do but walk and snack, even under a big old backpack and over some really extreme hills, was much, much more relaxing than just being at home with my toddler and the general mental load. 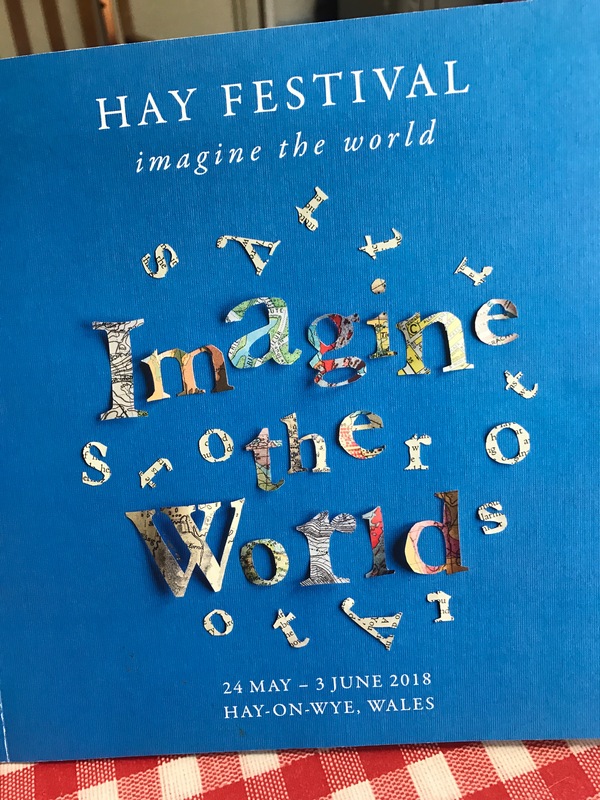 Then, the bit we’d not really considered at all – the Hay Festival part. We were being interviewed the following morning, and stayed in a beautiful yurt, were treated really well and met loads of interesting people. And then got to talk about ourselves and sell a bunch of books! It has easily gone straight in as a new entry in my top five best holidays of all time. 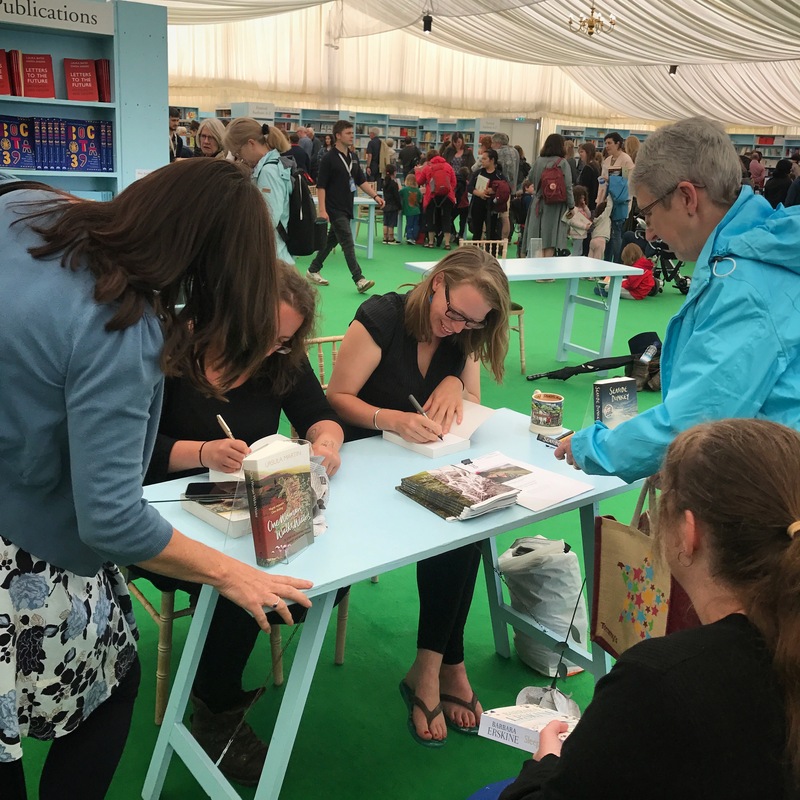 Thanks Ursula, for the excellent company (Begwns notwithstanding), Gwen Davies and the New Welsh Review for proposing us, and the Hay Festival and everyone who came to see us. You’re pregnant? We’re we supposed to already know this? Does Chico know? Thanks for posting your walk on the blog. (I followed on IG). You live in beautiful country. No – I’ve not mentioned it! Only very quietly in the middle of a post I didn’t mention on Facebook or anywhere… Do you think maybe I’m scared of the fact?